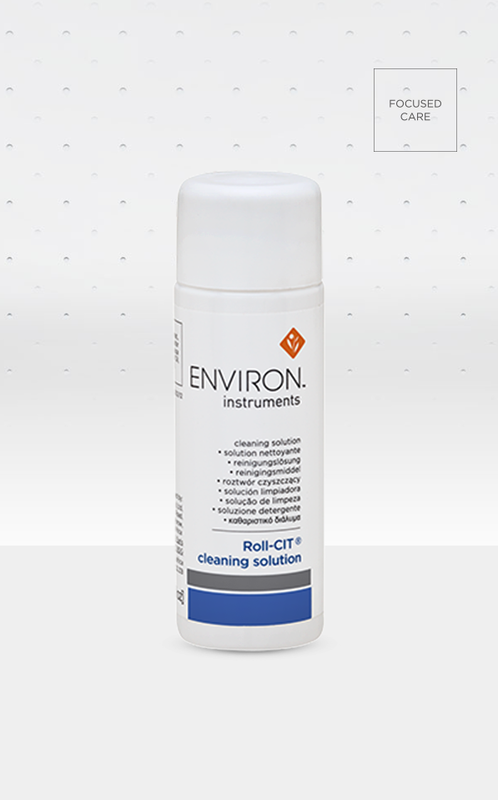 This Instrument Cleaning Solution is specifically formulated to cleanse all the Environ cosmetic needling instruments. Cleans all needling instruments effectively. Soak instrument in the cleaning solution once a week for 10-15 minutes. After soaking in the solution, rinse well with warm water before using the instrument. Otherwise, rinse the roller with warm water before and after use. Please note: Instrument is not to be left in the cleaning solution overnight.